May 2014 will mark the 100th anniversary of the Smith-Lever Act, legislation that created Cooperative Extension, a nationwide system of community- based education, established as part of each state’s land grant university. Cooperative Extension was started to help farmers, homemakers, and youth use the latest university research to improve their lives. At first geared towards strengthening rural areas, Cooperative Extension became integral to urban and suburban communities as well. A century later, Cooperative Extension continues to provide a vital link between public universities and communities. Authored by Senator Hoke Smith of Georgia and Representative Asbury Lever of South Carolina, the Smith-Lever Act was the culmination of years of advocacy by farm groups and others who believed that rural Americans needed more opportunities and education in order to sustain a vibrant American economy and democracy. The two legislators developed their bill to create a historic partnership between land-grant universities and the United States Department of Agriculture (USDA). The universities would manage agricultural extension in each state, with guidance from USDA. 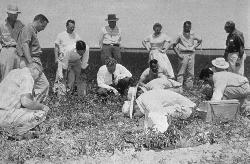 In 1903, USDA had developed an innovative system of farmer education known as the Farmer’s Cooperative Demonstration Program. Founded by USDA educator Seaman Knapp, this program was based on farmer-led demonstrations, and was popular and successful throughout the south. Knapp’s program placed an educator, or “agent,” in counties to work with farmers and support their on-farm demonstrations. Smith and Lever’s compromise ensured that the county-by-county demonstration method pioneered by Knapp and USDA would become integral to the extension system to be developed by the land-grant universities. 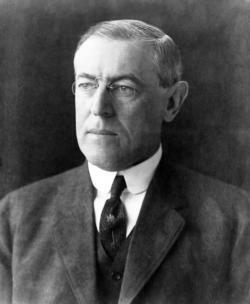 The Smith-Lever Act was signed by President Woodrow Wilson on May 8, 1914, and soon, each state’s land grant university was organizing Cooperative Extension, or formalizing existing efforts. 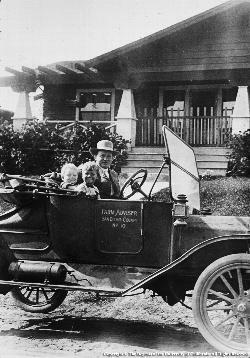 By 1914, efforts were already underway in California to create an agricultural extension system, building on the success of the state’s land grant, the University of California. The first UC campus, at Berkeley, had agriculture as an important early focus, and in 1907, a university research farm was opened in Davisville, a site which grew into a new campus, UC Davis. 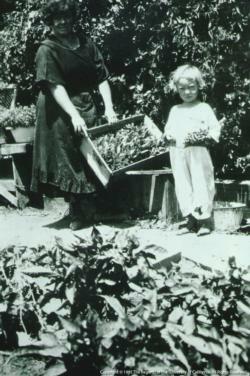 That same year, UC established the Citrus Experiment Station in Riverside, the foundation for the UC Riverside campus. New knowledge and technologies developed by UC scientists were critical to the growth of farming and allied industries around the state. 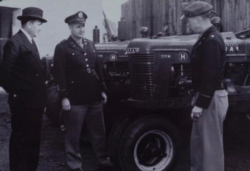 By the time the Smith-Lever Act became law, UC agriculture faculty were already offering short courses and institutes for farmers around the state, but farmers were clamoring for more. Many California farmers were excited about the possibility of having a Cooperative Extension educator, known as a “farm advisor,” assigned to their community. Anticipating strong demand, University of California officials required each county government that wanted to participate in the Cooperative Extension partnership to allocate funding to help support extension work in that community. Additionally, it was required that a group of farmers in participating counties organize into a “farm bureau” to help guide the farm advisor on the issues of local agriculture. 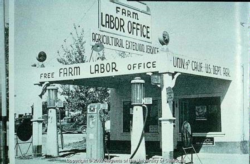 (These grassroots groups later evolved into the California Farm Bureau Federation). Humboldt County was the first county to sign up and they had their farm advisor in place by July 1913, anticipating passage of federal legislation. 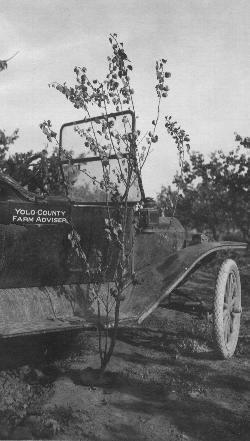 Seven more counties came on board in 1914, and many soon followed, with 41 of 58 California counties securing Cooperative Extension farm advisors by 1922. Other counties joined the partnership in subsequent years. A century after the inception of this collaboration between UC and counties, county government continues to be a key partner in local delivery of Cooperative Extension. 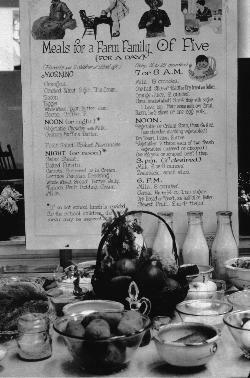 In its first years, Cooperative Extension played a critical role on the home front during World War I, helping farmers to grow enough wheat and other crops to meet expanded war-time needs. Extension’s value was quickly established as farmers came to rely on having an expert close at hand who was familiar with local conditions and crops. In addition to addressing the needs of farmers, Cooperative Extension soon expanded to provide educational opportunities for their families, including programs for rural women and activities for local youth. Nutrition, food preservation, and a variety of skills were taught by “home demonstration agents” working with rural women. Thousands of young people would learn about food production, cooking, science and more through participation in 4-H clubs. Despite its rural roots, as communities have changed, so has Cooperative Extension, adapting and fine-tuning programs to meet the needs of a changing society. 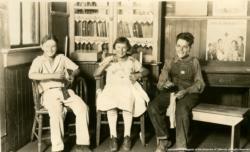 As the nation urbanized, many Cooperative Extension efforts were developed to meet the needs of non-rural audiences. 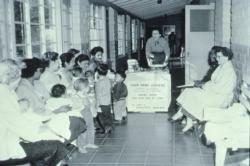 Examples include the Expanded Food and Nutrition Education Program (EFNEP) which has offered free nutrition education classes in urban communities since the 1960s. Thousands of urban and suburban residents have benefited from Cooperative Extension’s Master Gardener Program which offers workshops and advice to home, community and school gardeners. Regardless of the population served, Cooperative Extension activities are grounded in university research, and developed in partnership with local communities. Today, UC Cooperative Extension continues to serve communities throughout California as part of the University of California’s Division of Agriculture and Natural Resources (UC ANR), with 200 locally based Cooperative Extension advisors, 130 campus-based Cooperative Extension specialists, 57 county offices throughout the state, and nine research and extension centers. Over a century of service, Cooperative Extension has continued to connect communities with the land grant campus, bringing practical, trusted, science based solutions to Californians. When was your County Extension office founded?